Located in Jerusalem’s quiet German Colony neighborhood, the modern 2-bedroom Avishai vacation apartment gives you Middle Eastern flavor in an ideal location. Only minutes away from the apartment, you’ll find upscale restaurants, shops, and the best coffee in the city on Emek Refaim Street. A pleasant walk through the neighborhood will take you to the Natural History Museum (10 minutes), or the historic First Station (14 minutes). 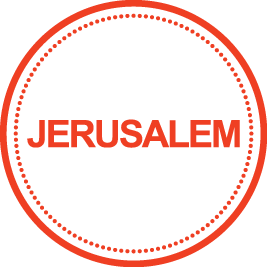 Local bus stops are scattered all throughout the main street to take you to Jerusalem’s City Center (16 minutes), the vibrant Machane Yehuda Market (17 minutes), or the Old City (12 minutes). This rustic apartment in Jerusalem has been refurbished by our local interior designer to make you feel at home in the city. You’ll love the fully functioning kitchen, sunlit living room, and private furnished terrace. Two plush bedrooms are decorated with colorful accents and Jerusalem stone. Premium amenities include a Nespresso machine, free WiFi, cable TV, high-end toiletries, and hotel beds and linens. Perfect for families, this enchanting apartment will be your oasis in Jerusalem.